Napsal uživatel ruzicka dne Pá, 03/10/2017 - 01:44. 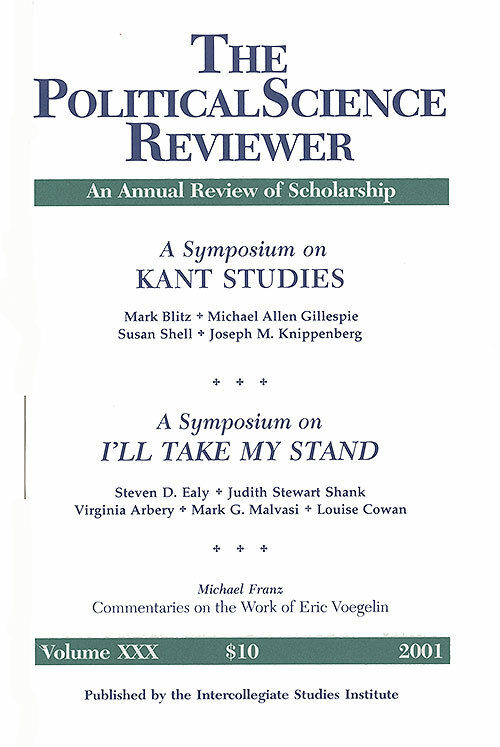 The Political Science Reviewer is a beacon in the often-murky world of professional political science journals. Unencumbered by any of the reigning orthodoxies, the PSR welcomes the evidence of empirical study, but upholds the primacy of theoretical understanding. The PSR is an annual journal featuring essay-length reviews of classic and contemporary studies in law and politics, as well as examinations of leading political science textbooks. Each review provides in-depth evaluation without a narrow, over-specialized focus. For information, please contact the editorial team at politicalsciencereviewer@wisc.edu. The Political Science Reviewer considers manuscripts from the fields of political theory or political philosophy of all approaches or methodologies. We will accept manuscripts of 11,000 words or less, including notes. Submitters should also include a separate abstract of 100-150 words. Please send your political theory manuscript to politicalsciencereviewer@wisc.edu. Because all manuscripts are reviewed anonymously, please make sure that the manuscript does not contain any reference to your name or institution and remove all identifying notes or acknowledgments. This will help ensure a timely review of the manuscript. The Political Science Reviewer cannot accept manuscripts that are under review at other locations. By submitting to us, you acknowledge that the manuscript is not under review elsewhere. The Political Science Reviewer uses The Chicago Manual of Style as a guide for questions of citation, punctuation, and all other editorial question. We prefer footnotes to either endnotes or in-text citations.